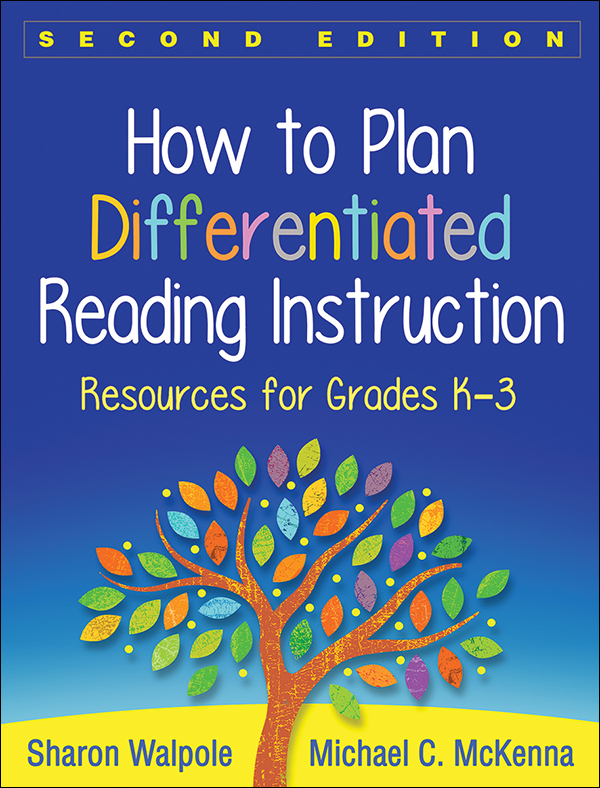 Tens of thousands of K–3 teachers have relied on this book—now revised and expanded with more than 50% new material—to plan and deliver effective literacy instruction tailored to each student's needs. The authors provide a detailed framework for implementing differentiated small-group instruction over multiweek cycles. Each component of the beginning reading program is addressed—phonological awareness, word recognition, fluency, vocabulary, and comprehension. In a large-size format with lay-flat binding for easy photocopying, the book includes dozens of reproducible lesson plans, instructional activities, assessment forms, and other tools. Purchasers get access to a Web page where they can download and print the reproducible materials. Differentiation 2.0: the approach has been fine-tuned based on field testing, new research findings, and current standards and response-to-intervention frameworks. Many additional reproducible tools, such as coaching templates and the Informal Decoding Inventory. Beyond lesson plans and materials, the second edition offers more guidance for designing instruction and grouping students, making it a one-stop resource. Reproducible tools now available to download and print.